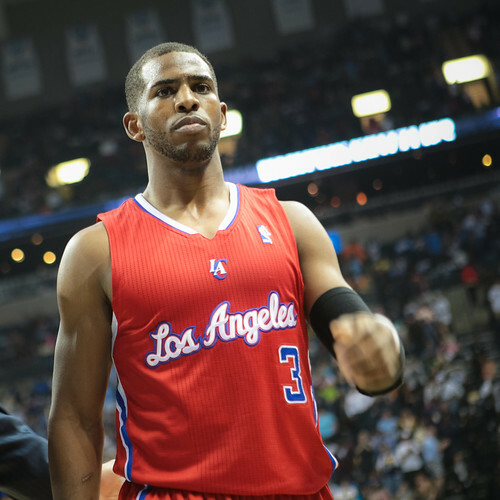 Can Chiropractic Help NBA Star Chris Paul Return to The Court? Chris Paul is arguably the best Point Guard in the NBA. He is one of the biggest names in the sport of basketball, and his presence on the court for the Los Angeles Clippers is unmatched. Game after game he brings his experience and high IQ for the game, in essence, making everyone around him that much better. This would explain the great start to the season that the Clippers are having. Chris recently went down awkwardly on his right shoulder after being fouled on a play to the basket. This fall subsequently resulted in what team doctors have diagnosed as a separated right shoulder. Chris is expected to miss roughly 6 weeks of play while he rehabs his shoulder back to full strength. What’s next for Chris Paul? Chiropractic treatment may be within the treatment plan for Paul’s rehabilitation. Shoulder injuries are typically not ever present in the NBA, most of the common injuries are to knees, ankles or even fingers and hands. This being said, shoulder pain or injury is very common amongst those who do not don a jersey and play basketball on a nightly basis. In this particular case, Chris Paul has what is called an Acromio-Clavicular Tear, also called an A/C separation, these injuries are the result of a disruption of the acromio-clavicular joint. Most of the rehabilitation will focus primarily on repairing the joint and getting full range of motion back, especially as this is in his dominant shooting shoulder. Rest will take up most of what Paul is told to do in the early stages of repairing his shoulder, as the ligamants need time to heal by themselves and for acute inflamation to subside. When should I see a chiropractor for shoulder pain? As previously stated, shoulder injuries and pain are very common amongst the general population. Whether it’s from poor overall posture, staring at a computer screen for too long everyday or some other cause. So when should you go and get checked out by a doctor? The simple answer is… the sooner the better. The faster you are seen, the less likely you are to have a permamnent or even severely damaging ailment. Remember to always consult your chiropractor or physician before taking any health advice.